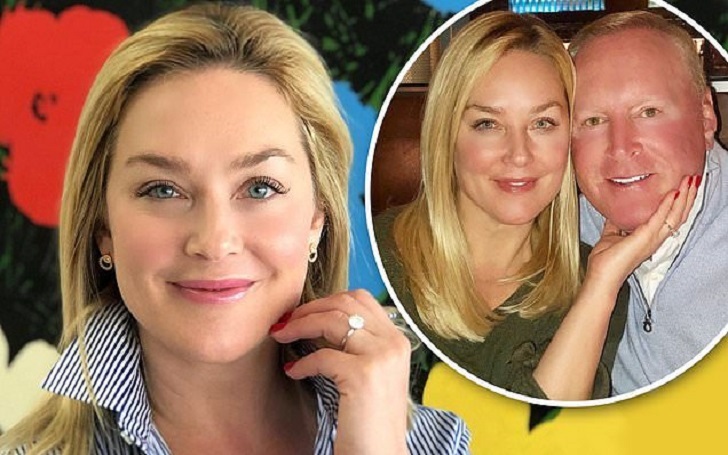 Elisabeth Rohm and Jonathan T. Colby are all set to get married! The Law & Order alum and her boyfriend, who is a judge by profession, are engaged. The couple confirmed their engagement to Us Weekly on Wednesday, January 30, one week after Jonathan proposed her for marriage. We are so blessed to have found each other. We exchanged our loving engagement vows to one another in our La Jolla, California, home backyard — with the roaring Pacific Ocean waves crashing on the bluff, the sun setting over the sea and the crisp winter air. Truly as romantic as anyone could ever dream of. The former Angel star also took to Instagram on Sunday, January 27, to confirmed the exciting news, with sharing a photo of herself showing off her stunning diamond ring. She captioned the post, "Yes, I’m engaged to the most loving, kind, elegant, generous and extraordinary man!" Jonathan serves on the 11th judicial circuit. Elizabeth, meanwhile, appeared on Law & Order from 2001 to 2005. Her co-stars included Mariska Hargitay and Kelli Giddish. The actress, 45, was previously engaged to the Breaking the Fifth director, Austin Smithard. Following the split from Austin, she began dating Ron Anthony Wooster, with who she welcomed an adorable daughter, Easton August, in August 2008. Congratulations Elisabeth and Jonathan. We are eager to watch your wedding.